Week 6 done! Once again, not the ideal week. I’m on such a high because the Bikini Series is starting in a week’s time and I want to get as prepared as possible. I’ll be outfit planning, meal planning, making sure I have the right equipment, eeeeeeee! 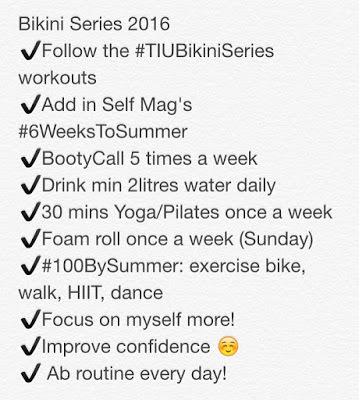 Even though the Bikini Series is a week away, I wanted to be prepared and set myself some goals. I wanted to make them realistic but achievable as long as I push myself. I wanted to make them specific to me because if they mean something to me, I will focus to achieve them. 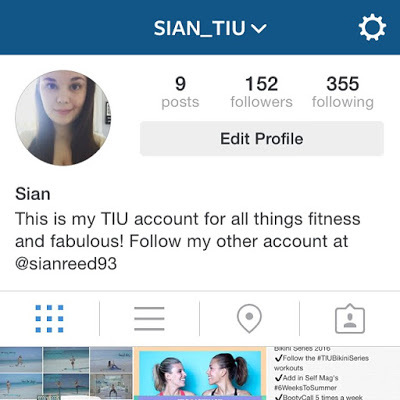 I also have set up a brand new Instagram account, just for my TIU journey so follow me here!